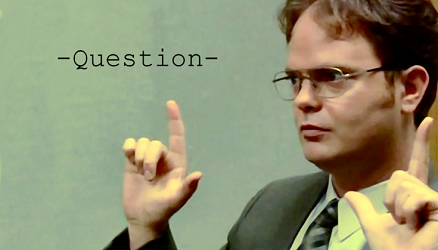 You Got Questions… Now What?!? Many times, our customers has a tough time keeping up with email – especially outgoing “questions”. I often show them how they can easily catalog these within Outlook as they are sending the email. This has the added benefit of providing you with a “follow-up list” that you can quickly attack without having to remember and “search” for follow-up at a later date. The “Flag” capability in Outlook can really help here. For any email that has a question in it, simply select the Tags pull-down, and select an appropriate flag (in our case, Next Week). Once you have flagged an email, it will popup in your Tasks pane window on the right side of your Inbox. This is a simply way to keep all of your expected responses in front of you. As responses come you, you can simply clear the flag, and move on to your next item. What about your iPhone you ask? Well, unfortunately, this is a 2-step process. 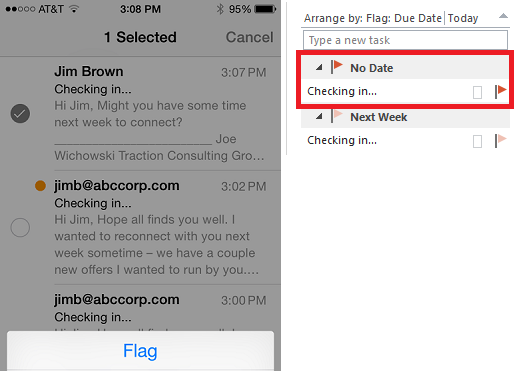 Newly created emails in the iOS email app do not allow you to “flag” them. Instead, you first need to navigate to the Sent email folder on your iOS device. Once there, you can then flag it. 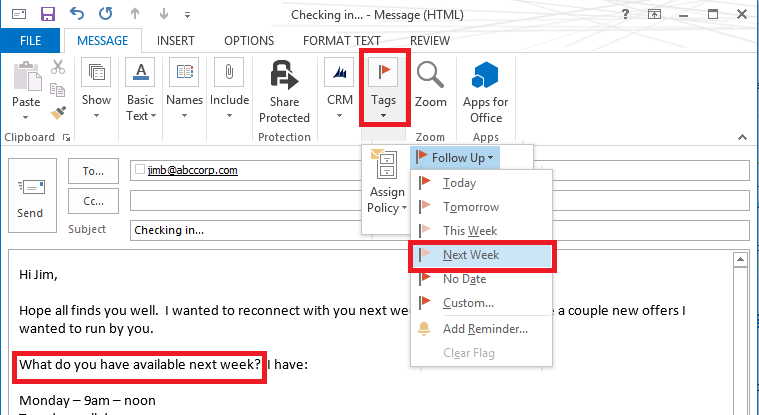 Although this is an extra step, it will then put your email along-side your other follow-up emails in Outlook.